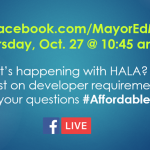 Green Lake Community Council suggests you join Mayor Ed Murray for a live Facebook conversation around HALA progress and what’s happening right now on Thursday, Oct. 27 at 10:45 am. Bring your questions to type in starting at 10:45 and hear what your neighbors are thinking. Join the event HERE. 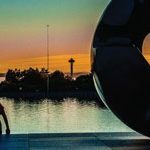 Bi-Weekly News About North Seattle Happenings by Neighborhood District Coordinators Tom Whittemore, Karen Ko, and Krista Dumpys See all the news in a convenient web version. Get ready to mark your calendar!